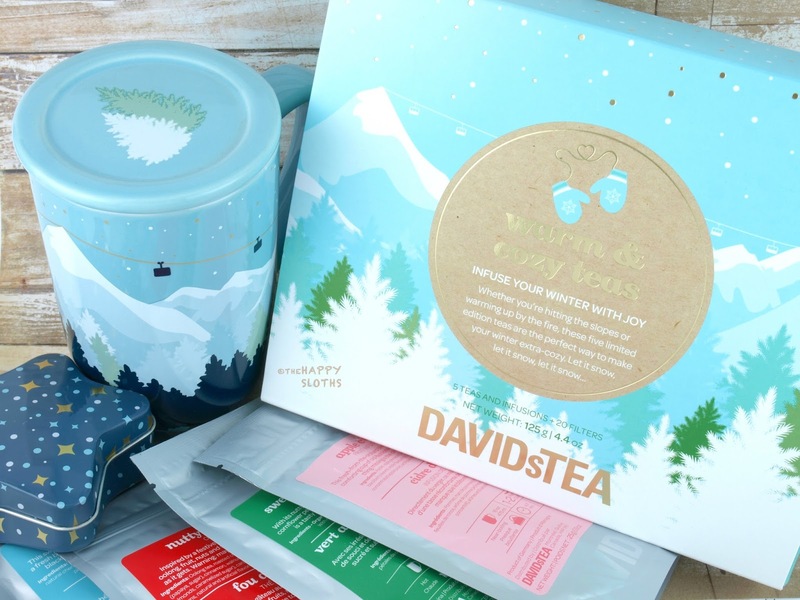 If the legendary 24 Days of Tea advent calendar set is a bit too pricey for you, DAVIDsTEA offers quite a number smaller gift sets as well! Here I have the adorable Warm & Cozy Teas set with five 25 gram samplers. You get the Coffee Cake, the Apple Cider, the Nutty and Spice, the Chocolate Covered Almonds, and the Sweet Almond Green. Also included is a pack of 20 paper filter bags for your sipping convenience. 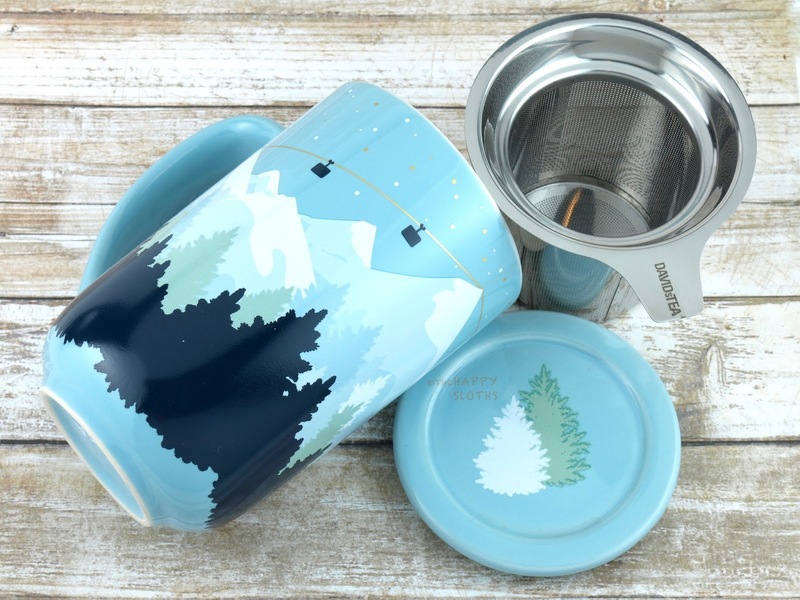 Printed with the most adorable wintery mountain scene, this sturdy mug's print will change color when you fill the mug with hot tea! Included are a stainless steel tea infuser and a mug lid that doubles as a saucer for the infuser. DAVIDsTEA has quite an amazing selection of mugs for this holiday season so definitely make sure to pop by in stores to check them out! 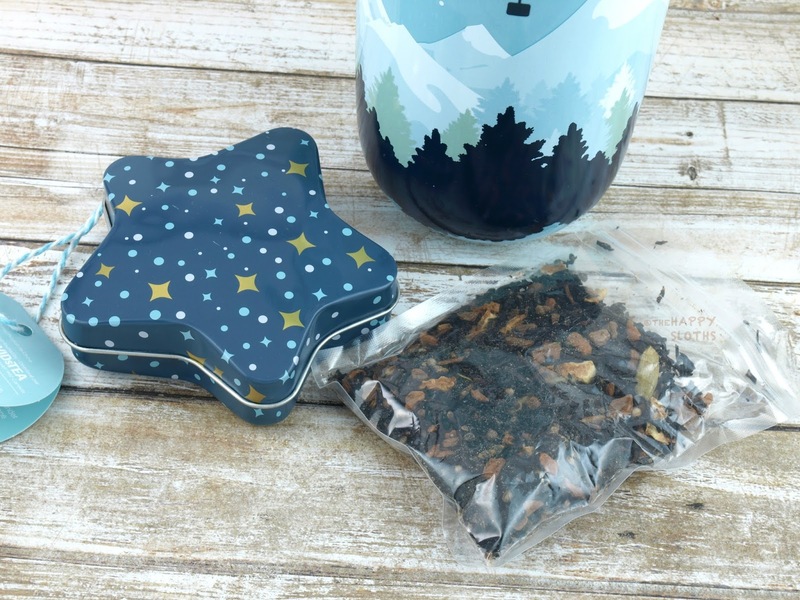 A perfect stocking-stuffer for tea lovers, this is a 20-gram sampler featuring a yummy holiday tea made with black tea, cinnamon, cardamom, and coconut sugar. The tea comes in a resealable plastic bag housed in an adorable metal tin shaped like a festive Christmas star. 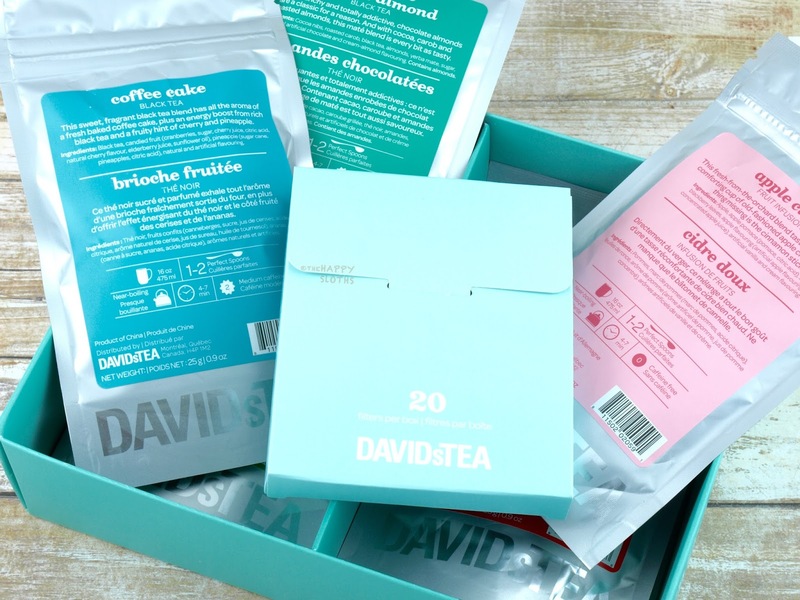 DAVIDsTEA is available in stores and online at DAVIDsTEA.